Back to my x3 great grandfather, John RIDOUT, the chap that got me hooked on this whole family history thing. In the early days of my ‘studies’, knowing my great grandfather’s name and birth year (1863), I was able to whizz back through the UK census records quickly and so it was in 1851 that I came ‘face to face’ with this chap John RIDOUT – he was a Dorset man! I’d always assumed that my mother’s side of the family was pure Somerset, but no. On a whim, I googled ‘Ridout’ and ‘Sherborne’ and came up with so many ‘hits’ from America and Canada – heavens – these people were pioneers, bankers and politicians! The Shiburnian Ridout dynasty is very well documented and there’s even a whole collection of papers at the Society of Genealogists. But my x3 grandfather was just a cabinet-maker; his father’s marriage in the parish register revealed that neither he nor John’s mother could even sign their name. Surely my little twig couldn’t be connected to this mighty tree? No, probably not. I put my foolish fantasy aside and spent the next few years just getting on with what I knew of my more recent ancestors in Bath. A couple of years ago, a fellow family historian called Bill RIDOUT invited me to join him, and his American friend Orlando, for a day touring round Dorset villages. I had heard of Orlando RIDOUT IV – in September 2004 he had made a public apology to Alex Haley, author of ‘Roots: The Saga of an American Family’. Haley had claimed descendency from a young warrior called Kunta Kinte, who’d been captured in 1767 from Julfureh (a village in the Gambia) and, along with many others, sold into slavery. 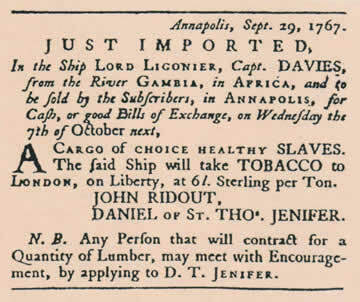 The cargo of slaves had travelled on the Lord Ligonier via England to Annapolis, Maryland. So why had Orlando apologised to Haley? Because the slave owner and auctioneer who had sold Kunta Kinte was John RIDOUT, Orlando’s direct ancestor. Orlando RIDOUT IV was a very pleasant, elderly gentleman – the three of us happily toured Dorset for the day, shared lunch and genealogical chatter. Before we parted company, Orlando gave me a yDNA kit and asked me if I could find a male family member to send off a sample of saliva. He wanted to see how inter-related the Dorset Ridouts were. I did as he asked and, a few weeks later, the results came back. Much to the surprise of all parties, my cousin’s DNA matched to only one other man – Orlando himself! In fact, of all the many DNA kits that Orlando had handed out on his travels my family was the only match he had. So now, I know that I can count myself as one of that huge Sherborne Ridout dynasty after all – now, if only I could find out where our tree fits into theirs! This entry was posted in Individual and tagged Annapolis, Family history, John RIDOUT, Orlando RIDOUT IV, RIDOUT, Sherborne. Bookmark the permalink. What a great tale of discovery! Your writing is wonderful and I’m enjoying following your Ridout ancestors through time. Thank you so much for your positive feedback AND for the help and support which you have since provided! I think, at least for the moment, I will stick with static pages which I can produce from FH4 as and when (like the one under the Ancestors tab). Time enough to get ambitious – I am happy to putting any of this ‘out there’ right now. My name is Kelly Loughney (nee Ridout) and I was born in California (USA) in 1980. I, too, am related to John Ridout. My father is named Randall Ridout and his father is (also) named John Ridout. They were born in Mississippi. Thank you for the welcome! I’m talking about the John Ridout who was a slave trader. My father also said we had a knight in our family in the Medieval Ages. I was roommates with Orlando Ridout’s nephew, and knew “Lannie” and the rest of the Ridouts well. They are all class acts and wonderful people.